ZF Chairman Wolf-Henning Schneider: "This acquisition supports our strategy to become a leading autonomous transportation systems supplier in the booming new mobility market." Germany's ZF Friedrichshafen said it acquired a majority stake in European mobility provider 2getthere. The world's fifth-largest auto supplier said Tuesday that it acquired 60 percent of 2getthere, headquartered in Utrecht, Netherlands, effective immediately. Unlike many mobility tech companies, 2getthere is an established player, with roots dating to 1984. Its products include driverless passenger and cargo transportation operations in cities, ports, business parks and airports. 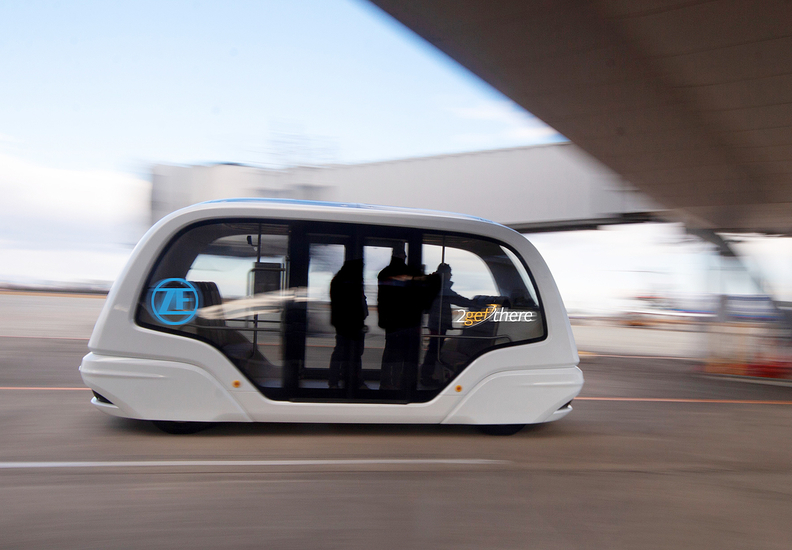 ZF spokesman Thomas Wenzel told Automotive News that the investment will strengthen ZF's position in the growth markets of mobility services, autonomous transportation systems and shared self-driving vehicles. The investment complements ZF's partnerships and investments, Wenzel wrote in an email. Those include e.Go Moove -- a joint venture of ZF and German startup electric vehicle maker e.Go Mobile -- along with Transdev, a mobility provider in France. The acquisition will add 60 jobs to ZF's work force, with plans to double engineering and software staff in Utrecht, he wrote. In January, ZF said it planned to start production this year of an autonomous electric minibus called the e.Go Mover, with output targeted to reach a five-digit figure in two to three years. At the time, the company said an unspecified number of e.Go Movers would go to Transdev, the vehicle's first customer. ZF has continued to grow in the mobility sector since its $12.4 billion purchase of U.S. supplier TRW Automotive Holdings Corp. in 2015. ZF now has a global work force of 147,000 with about 240 locations worldwide. ZF ranks No. 5 on Automotive News' list of the top 100 global parts suppliers with worldwide sales to automakers of $34.48 billion in 2017.